I was finally able to visit my training host family for the second time these past 13 months of service. It was so great to see them again! Since I’ve been living alone for so long now, I forgot how comforting it feels to be at home with a family that really cares for you and considers you one of their own. Another PCV who lived with the same host family during her training 6 months after me was also able to visit at the same time. It was like one big family reunion! I spent three days with them which included a sauna party, home cooking, rabbit killing, and of course, being taken to the club by my 16 year old host sister…ekkk. I can’t wait to visit them again. 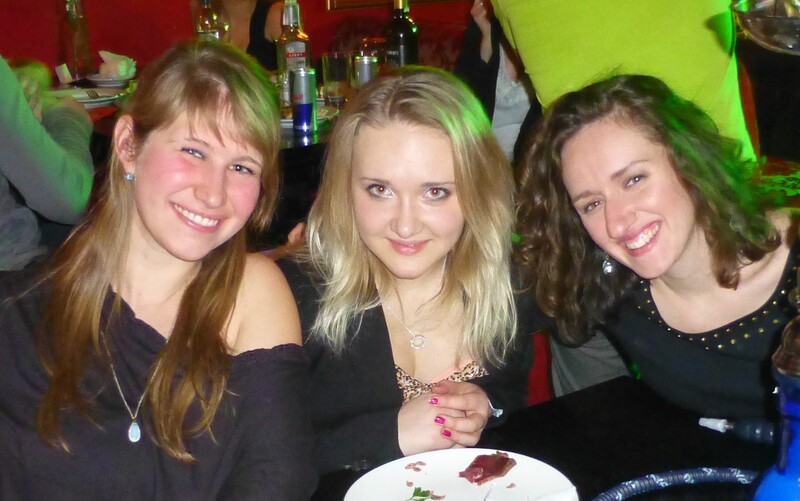 Me, my Ukrainian host sister Natasha & fellow PCV Julie. The following week I attended (as a student, not a teacher) a four day Russian language refresher camp that is hosted bi-annually by Peace Corps Ukraine staff. There, I was able to take Russian language lessons all day long, participate in Ukrainian handicraft classes and listen to lectures on topics such as the Ukrainian elections and life during the USSR. It was also a great opportunity to see other PCVs that I haven’t seen since training in 2011. The PC Ukraine staff did an amazing job of organizing the camp and were such an inspiration to be energetic, creative and communicative teachers!